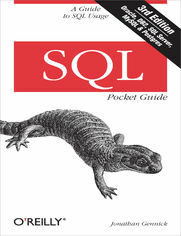 If you're a programmer or database administrator who uses SQL in your day-to-day work, this popular pocket guide is the ideal on-the-job reference. You'll find many examples that address the language's complexity, along with key aspects of SQL used in IBM DB2 Release 9.7, MySQL 5.1, Oracle Database 11g Release 2, PostgreSQL 9.0, and Microsoft SQL Server 2008 Release 2. SQL Pocket Guide describes how these database systems implement SQL syntax for querying, managing transactions, and making changes to data. It also shows how the systems use SQL functions, regular expression syntax, and type conversion functions and formats.